Interagency fire response continues in Glacier National Park after several fires were sparked following a severe storm with over 150 lightning strikes in Glacier National Park late Thursday afternoon. A red flag warning has been issued from 2 PM this afternoon through Sunday evening for the Glacier National Park region. Strong winds and possible thunderstorms are predicted. Due to extremely dry conditions, potential for new starts and fire growth is high. Additional fire personnel are staged on both sides of the park to respond to new fires. 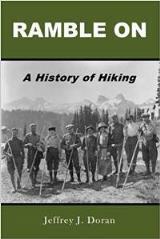 The Apgar Lookout Trail has been reopened, as has the John’s Lake Trail area trails. 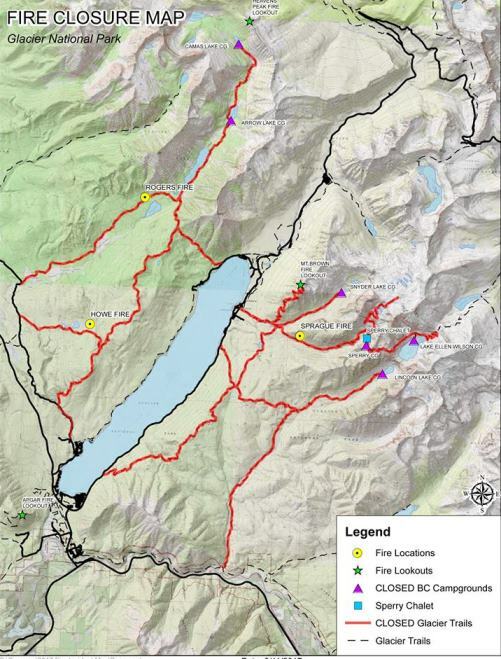 Closures remain in effect for the Howe Ridge Trail, Camas Trail, Trout Lake Trail, the Sperry Trail from Lake McDonald to Gunsight Pass (including all secondary trails such as the Synder Lake Trail and the Lincoln Lake Trail). The Inside North Fork Road is also closed to vehicles from Fish Creek to Logging Lake. Backcountry campgrounds in the areas listed above are also closed. Other backcountry areas in the park are still open for day use. No new overnight backcountry permits are being issued, in order to reduce the number of people overnighting in the backcountry while the park remains in extreme fire danger. Individuals with current backcountry permits for areas not impacted by fires are not being asked to leave. 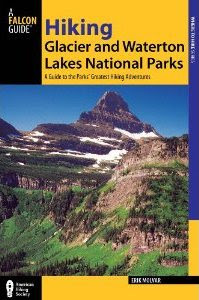 Most areas of the park are open including all areas of the North Fork, Apgar Village, the Going-to-the-Sun Road, Granite Park Chalet, Two Medicine, St. Mary, Many Glacier and Goat Haunt. Please check the park website for updated trail and road information.